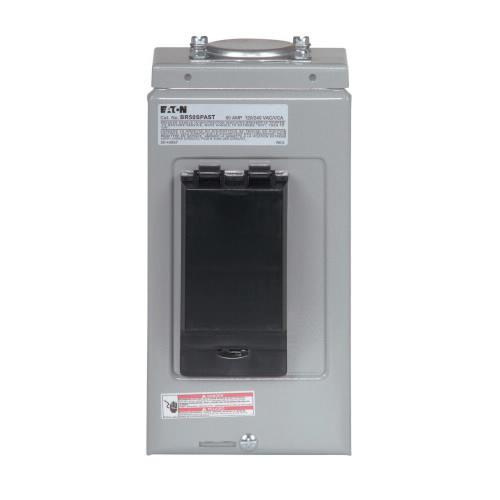 Eaton 1-Phase Spa panel is perfect for use with Type BR loadcenters and circuit breakers. It has current rating of 50-Amps and voltage rating of 120/240-Volt AC. It accommodates copper/aluminum wire of size 8 - 2-AWG. It measures 10.2-Inch x 4.9-Inch x 4.3-Inch. Surface mountable panel features steel construction. * Inventory displayed is accurate as of 04/17/2019 21:40 EDT.